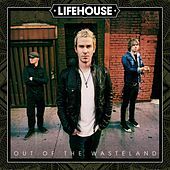 Lifehouse began in 1996 as Blyss, a teenage garage trio haunting their high school's Friday night jam sessions. 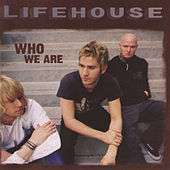 Seattle transplant Jason Wade, his new L.A. neighbor Sergio Andrade, and latecomer drummer Rick Woolstenhulme honed their post-grunge sound for two years before garnering a deal with DreamWorks and changing their name to Lifehouse. Though the stringed "Breathe" won them that deal and resulted in debut LP No Name Face, "Hanging by a Moment" had more impact, hitting number one on Billboard's Modern Rock charts. The debut went double-platinum, and the obscure Southern California group was suddenly touring internationally with Pearl Jam, Everclear and Matchbox 20. They polished their sound and become more radio-friendly on their sophomore release, Stanley Climbfall, and in 2005 brought Canadian bassist Bryce Soderberg into the fold for their third (self-titled) LP. By album three, the band had solidified their trademark sound, bringing Wade's earnest grunge vocals and songwriting chops to the fore.